Fully charged. No cables and no waiting. This single use battery is ready to go. Filled with premium, all-natural cannabis extract. 100+ puffs, no mess. Great vapor quality with the smoothness and taste showcasing each strain. 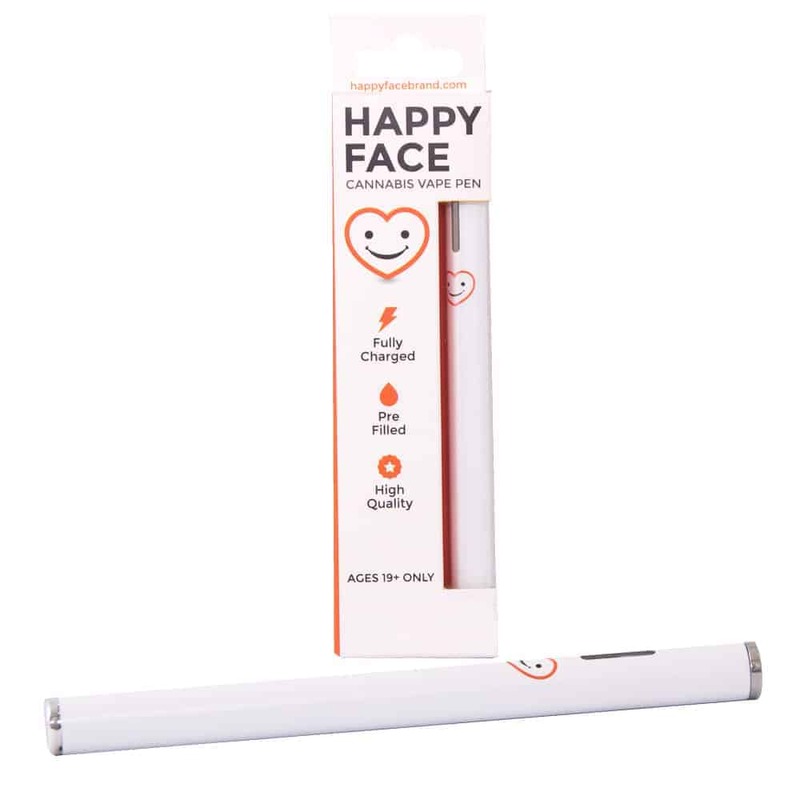 4 reviews for "Happy Face – Purple Urkle – Indica – Vape Pen"
Love these pens! Very smooth helps with sleep, aches, and pains. Good taste and handy but not as good a buzz as the weed. This pen works magic. I used to get 2-4 hours of sleep a night, sometimes none at all. A few puffs from this guy and I’m now getting a full 7-9 hours sleep.